Sadly discontinued by Dr Hauschka. For an alternative try Lavera or Benecos. 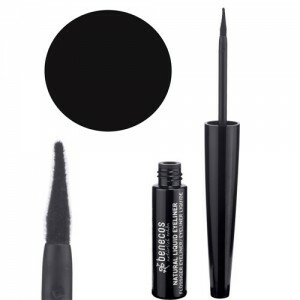 Jet black with an extra-fine brush for smooth, easy and accurate application. 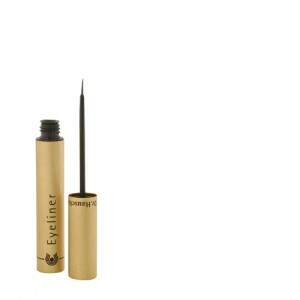 Eyes look particularly radiant if they are properly accentuated, this liquid eye liner does the job perfectly. Eyebright, black tea, and neem soothe the sensitive eye area and rose and jojoba waxes keep the eyeliner smooth. Opthalmologically tested. Black Eyeliner: Water/Aqua, Alcohol, Sorbitol, Cetearyl Alcohol, Ricinus Communis (Castor) Seed Oil, Bentonite, Camellia Sinensis Leaf Extract, Melia Azadirachta Leaf Extract, Euphrasia Officinalis Extract, Hydrogenated Jojoba Oil, Xanthan Gum, Beeswax/Cera Flava, Rosa Damascena Flower Wax, Rosa Damascena Flower Oil, Fragrance/Parfum*, Citronellol, Geraniol, Linalool, Silica, Lysolecithin, Iron Oxide/CI 77499, Titanium Dioxide/CI 77891, Ultramarines/CI 77007 Brown Eyeliner: Water/Aqua, Alcohol, Sorbitol, Cetearyl Alcohol, Ricinus Communis (Castor) Seed Oil, Camellia Sinensis Leaf Extract, Melia Azadirachta Leaf Extract, Bentonite, Euphrasia Officinalis Extract, Hydrogenated Jojoba Oil, Xanthan Gum, Beeswax/Cera Flava, Rosa Damascena Flower Wax, Rosa Damascena Flower Oil, Fragrance/Parfum*, Citronellol, Geraniol, Linalool, Maltodextrin, Silica, Lysolecithin, Carmine/CI 75470, Iron Oxide/CI 77491, Iron Oxide/CI 77492, Iron Oxide/CI 77499 *purely from essential oils and plant extracts - does not contain synthetic fragrance. 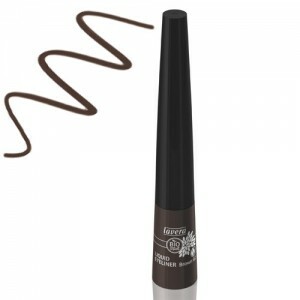 Apply over the upper lash line following the application of eyeshadow. Follow with mascara. 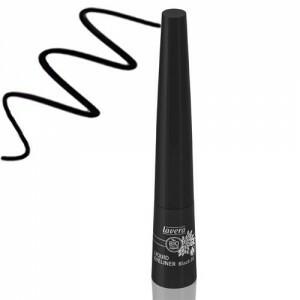 We also stock eyeliner pencils, which are great if you want to create a smudgy look.